How to watch the Masters like a pro. 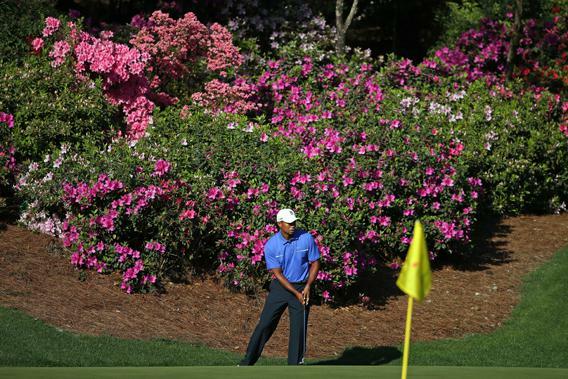 Tiger Woods chips onto a green during a practice at the 2013 Masters Tournament at Augusta National Golf Club on Wednesday. The annual Masters golf tournament begins Thursday, and most of us will watch the festivities in air-conditioned splendor. In a 2002 article reprinted below, Alex Heard commends those who take in the proceedings while reclined on the couch. “Be not ashamed of yielding to televised golf’s soporific power,” Heard advises.